September 21, 2011 - The Department of Labor's Occupational Safety and Health Administration released a new edition of its Whistleblower Investigations Manual, one of a series of measures to improve OSHA's Whistleblower Protection Program that were announced in August. A whistleblower (whistle-blower or whistle blower) is a person who tells the public or someone in authority about alleged dishonest or illegal activities (misconduct) occurring in a government department, a public or private organization, or a company. The alleged misconduct may be classified in many ways; for example, a violation of a law, rule, regulation and/or a direct threat to public interest, such as fraud, health/safety violations, and corruption. Whistleblowers may make their allegations internally (for example, to other people within the accused organization) or externally (to regulators, law enforcement agencies, to the media or to groups concerned with the issues). 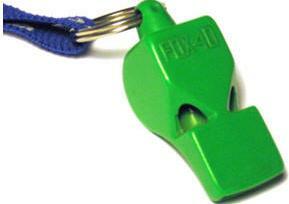 Whistleblowers frequently face reprisal, sometimes at the hands of the organization or group which they have accused, sometimes from related organizations, and sometimes under law. The new edition of the manual contains updates to case handling procedures, information on the new laws enacted since the manual was last updated in 2003, and other information to guide OSHA's Whistleblower Protection Program, which addresses retaliation complaints under the 21 whistleblower statutes delegated to OSHA (see below for a full list of statutes). This new manual will provide further guidance to help ensure the consistency and quality of investigations. "The ability of workers to speak out and exercise their legal rights without fear of retaliation is crucial to many of the legal protections and safeguards that all Americans value," said OSHA Assistant Secretary Dr. David Michaels when these measures were announced in August. Key changes to the manual include a requirement that investigators make every attempt to interview the complainant in all cases. Clarification that whistleblower complaints under any statute may be filed orally or in writing, and in any language, and that OSHA will be accepting electronically-filed complaints on its Whistleblower Protection Program website. Additional clarifications of the investigative process including method and recording of interviews, and processing of dually-filed 11(c) complaints in state plan states. New chapters for processing complaints filed under Federal Railroad Safety Act (FRSA), 49 U.S.C. ?20109, National Transit Systems Security Act (NTSSA), 6 U.S.C. ?1142, and Consumer Product Safety Improvement Act (CPSIA), 15 U.S.C. ?2087, as well as significant updates to the Surface Transportation Assistance Act (STAA) and Sarbanes-Oxley chapters, which incorporate statutory amendments and developments in the law. Expanded guidance on dealing with uncooperative respondents and issuing administrative subpoenas during whistleblower investigations. OSHA's Whistleblower Protection Program enforces the whistleblower provisions of 21 whistleblower statutes: Section 11(c) of the Occupational Safety and Health Act; Asbestos Hazard Emergency Response Act; International Safe Container Act; Surface Transportation Assistance Act; Clean Air Act; Comprehensive Environmental Response, Compensation and Liability Act; Federal Water Pollution Control Act; Safe Drinking Water Act; Solid Waste Disposal Act; Toxic Substances Control Act; Energy Reorganization Act; Wendell H. Ford Aviation Investment and Reform Act for the 21st Century; Corporate and Criminal Fraud Accountability Act, Sarbanes-Oxley Act; Pipeline Safety Improvement Act; Federal Railroad Safety Act; National Transit Systems Security Act; Consumer Product Safety Improvement Act; Affordable Care Act; Consumer Financial Protection Act of 2010, Section 1057 of the Dodd-Frank Wall Street Reform and Consumer Protection Act of 2010; Seaman's Protection Act, as amended by Section 611 of the Coast Guard Authorization Act of 2010; and the FDA Food Safety Modernization Act.